If you’re looking for a family camping holiday with a difference, why not try one of our stylish apartments? 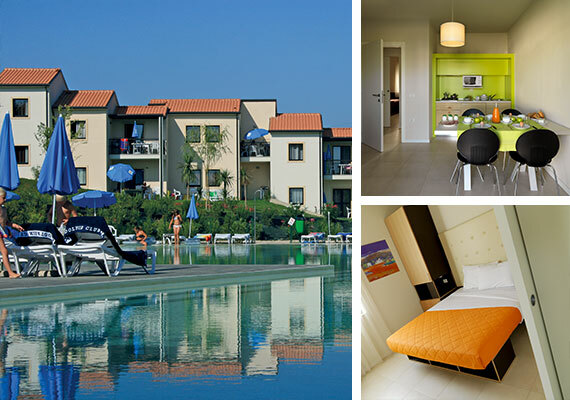 Apartments are available at Belvedere Village, Lake Garda, Italy and offer plenty of space for the whole family. They're fully-equipped for a relaxing self-catering holiday and the living space opens out onto a large balcony or terrace, perfect for enjoying an evening refreshment. If you're on a family holiday with young children, we have travel cots and high chairs for hire. Simply let us know what you need when you book your holiday. For more information about our apartments, please call our Sales team on 0345 268 0827. 2 bedroom apartments at Belvedere Village on the banks of Lake Garda. Fully equipped and ideal for a relaxing family holiday. Each apartment has a private parking space, accessible from the road.